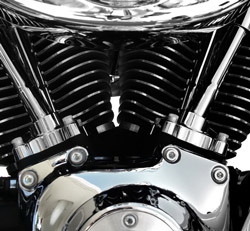 Bargain prices and auctions on new and used motorcycle parts for Harley Davidsons, Yamahas, Hondas and more. Whether you're looking for saddlebags for your Harley Davidson, brake cables for your Honda, or a speedometer for your vintage BMW motorcycle, we can help you find what you need here at Parts for Motorcycles. Frames, body and engine parts, fenders, gas tanks, manuals, and more are available, often at bargain prices. Check back often, as new items are listed daily. Universal Wheel Chock/Floor Stand Quick Lock Stabilizer Holder 14"-22"